Bz bzz bzzzzzzzzzzzzzzzzzzz. 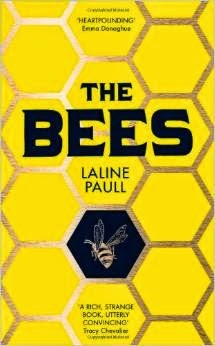 I read a superb book recently called The Bees by Laline Paull, click on the picture for an Amazon link. It was fascinating and strange and compelling and unnerving all at once. Made me want to get my big bee stamp out! So I did. Background created with the help of my daughter, from Distress Inks, punchinella, stamps and splodges. I'm entering this into the Simon Says Wednesday challenge- things that fly. BEAUTIFUL details! Love the stamped background, textures and colors! Thanks so much for playing Simon Says Stamp Wednesday “Things That Fly” Challenge!